I am a strong believer in helping all colleagues, going to conferences, and networking to better understand what others are doing in the field of BIM. I find asking questions and having conversations about the processes I am working on and how my role works helps me learn about approaches I would never have considered, and this in turn makes me better at my job. 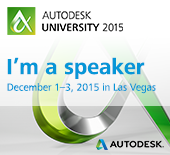 A couple of weeks ago at Autodesk University I was having a beer and conversation with a couple of colleges. One had never been to AU and was talking in amazement about people presenting their projects, process, or workflows. He was amazed people would be so willing to share. The other colleague and I had been to AU several times in the past, and better understand why someone will stand in front of a crowd of strangers and present ideas that might be valuable if kept to themselves: sharing makes us better. Resources, information, processes, and workflows all start somewhere. Sharing your work makes everyone advance. My friend, Rodigo Freig, told us a story about his first Revit project and how he started out. He explained that while working on this project he was struggling using Revit. Another colleague of his knew a structural technician using Revit, Michael W. Sullivan and said that Rodigo should give him a call. Rodrigo followed through. Michael didn’t just offer to help Rodigo – he invited Rodigo to his office for a discussion and information session on how he was using and implementing Revit in his firm. Even though they were competing companies, neither were worried about intellectual property or had any problems with open collaboration. When BIM managers from several different companies and disciplines get together to collaborate and share out workflow and process, magic happens. These opportunities move us forward to create a better BIM environment in our industries. These discussions enable us to share information between companies and share ideas which is the key to Open BIM. This is what makes us move forward and makes us better. 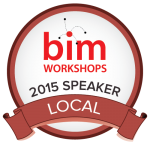 I want to share the knowledge I have to help people in the BIM community. Sometimes I get pushback from my own office: there is a lot of discussion on intellectual property. I get a lot of questions on why my company would let me tell people what I do. I usually respond that while I share my ideas, only my office has me, my style, my routine and my process, and that’s what makes my company successful. A long long time ago I started out as a CAD Drafter in Architecture as someone who loved the process of Computer Aided Drafting. In my first job I learned all about creating CAD standards and getting staff on board with changes in the drafting process. Although I immediately understood why this was important it took many years of frustration and a lot of patience to get to a point where I understood how to make this happen. I had to develop my Soft Skills. Soft skills are just as important,if not more important than developing and creating process. The success of BIM in a firm depends on the adoption of the tools by your staff. The first thing to remember is that the way you use the software likely isn’t the same way as your target audience does. To effectively teach you need to understand your student’s point of view. I had to learn how to teach process and steps without restricting the way a user accomplishes the task. Every day in the life of a support person is spent trying to better understand the staff’s needs and abilities. A great way to learn is to talk to people. Discussing non-BIM subjects, such as how their day is going or how they are feeling creates a comfortable environment for them to ask you questions. My motto has always been that no question is stupid, the only stupid question is the one not asked. In order to understand how your user interacts with the software you need to stop and watch them work. It was difficult for me to keep my hands down and mouth shut to watch the user model, but it’s the best way to understand how they approach tasks. Always remember that your way to model isn’t the only way. If you let the user build the way they feel comfortable it is easier to guide them. When your team of modelers/users have “successfully” delivered projects before working with you a different tactic is required. Listen and watch how they develop their model, and learn about the process they use. Once you understand how they work, suggestions that fit with their workflow will nudge them towards efficiency. Remember your job is to guide and teach, and know that you will continually learn. When a user describes their usage or process you might hear and see a different perspective and perhaps a different way of addressing a problem shared by other team members. The hardest and most important skill is patience. This skill takes practice, and trust me you will need an outlet for those hard days. First step: find your outlet. there will be long and very hard days. My outlet is all about keeping a consistent routine. I have a gym routine, I go 2 days a week in the morning before work – my favorite exercise set is ball slams, ropes, and the Bulgarian bag. The second step to getting those soft skill in tune is to prepare and always be ready for questions. I tend to get into work at 6am on my non-gym days. This gives me time to assess the projects and check the Revit modeling usage/needs. I can write some training material, prepare a training session, even write an outline of my path forward. This time before the questions starts helps me get all my frustration out on what I’m seeing in the Revit models. Sometimes I simply review on documentation and perhaps write a process for those things they keep doing wrong. The third step is to harness patience; remember you are support, not the ruler. BIM can only be successful if projects are guided. There is no reason to force users to use the software as you do when there are so many different ways to complete the task at hand. That expression “you can catch more bees with honey” is something you should have in the back of your mind whenever you are answering those questions from users. It can be really easy to lash out at a user that has asked you the same question over and over again and can’t seem to get it. Unfortunately I don’t have a tip for that process, I just keep answering the questions. I encourage you to try ways to help that user learn. The important thing in harnessing your patience we all so desperately need is to understand that some users don’t want to learn, they find it easier to rely on you. The fourth step is to make yourself seen and use your voice. I always keep my ears open to what is happening around me. Users will often ask their neighbour for help before they come to you — they may not want to interrupt you, wait for you to finish with someone else, or they might not want to stand up. Help everyone feel like it’s no bother to help and it’s what you enjoy doing. If people get the vibe that you are frustrated or irritated they could likely stop asking for your help. The fifth step is to remain open minded. Keep your eyes wide open. Let users guide you to new ideas, or developing new processes. I’ve learned a lot from users who have different ways of using the tools. I have been showing a user how to accomplish a task in Revit when their neighbour told me the way they did it, which I had never thought of or seen before. This process they used ended up being quicker and allowed for an easier transition to the next piece of the model. Just remember we are not perfect and users are usually frustrated. Keeping a cool head and following your path will make the job more enjoyable. Find those little joys during the job that will help you keep going.Let the passion drive you, thrive to do it better than those before you. I work hard to find a way to make it easier for others to understand, and a way to make it easier to complete. Working in BIM is a journey to exciting new technology and possibilities in building. The AEC industry is a place that has a lot of potential, using technology intended for other tech services to take us to new places. However, you need to have a ton of patience and a lot of willingness to adapt to new things. I don’t want to scare anyone who wants to follow this path, but I want to give you an idea of what you may struggle with. I am grateful so many of you have found value in my posts. Those of us out there that have worked in the industry for the past 20 years or so have learned to adapt. Those who did not adapt are no longer in the industry! This adaption is about having the ability to support staff in their transition to BIM. It’s not an easy transition: there can be resistance, there can be anger, there will be struggle. Engagement of staff is key to the success of BIM and the need to prevent BIM from failing. I think of the BIM Leads and Managers as the gate to success and the prevention to failure. Hiring a BIM Lead is a new concept. Traditionally, companies expanded the title (and responsibilities) of their CAD Manager to include Revit support. Unfortunately, this resulted can lead to some misconceptions about BIM, I touched on this in my post Stop the BIM madness. 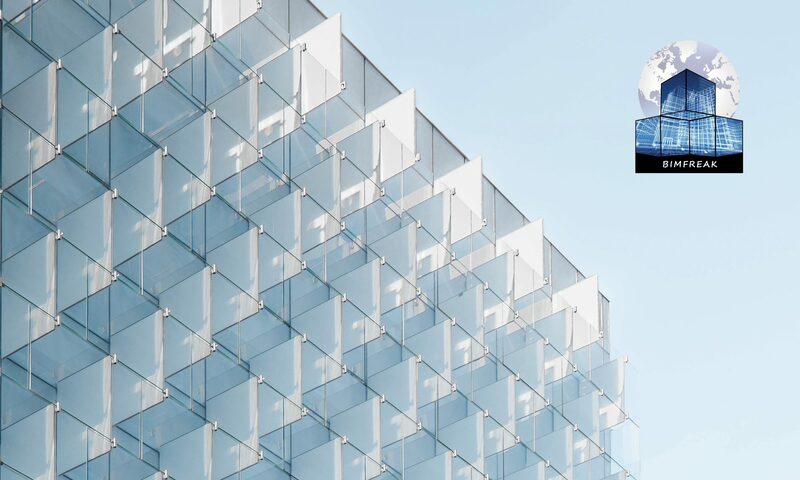 Now that many companies have successfully transitioned to BIM from CAD, specialized knowledge of the possibilities of integrated software design is necessary. This is where most companies run into a serious problem: people with my experience are rare. 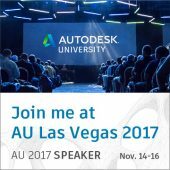 I started my career as a CAD Manager and transitioned to a BIM Manager. I started at the beginning of 3D modeling and battled through the adoption of BIM. There certainly aren’t enough people like me to act as BIM leads for a the firms that need them. What has started to happen leads us down the road of Danger of BIM Theory. Since there are so few old timers like me available, I think it is time to harness the abilities of our new generation of eager kids who were born with technology in hand. These youngsters can’t imagine any other way of collecting and displaying data then with technology. Having a fresh perspective can give them an incredible idea to problem solve and innovate that is unhampered by knowledge of how things used to work. A year ago I wrote about sharing what I have learned to help guide the younger generation into the field of BIM in Caring is Sharing. I collaborated on a BIM curriculum with the CAD and BIM Technology Department at VCC. During this collaboration I visited the students to see their progress. I was amazed at how quickly these kids picked up Revit and the understanding of BIM. It was very exciting, and made me feel very old. 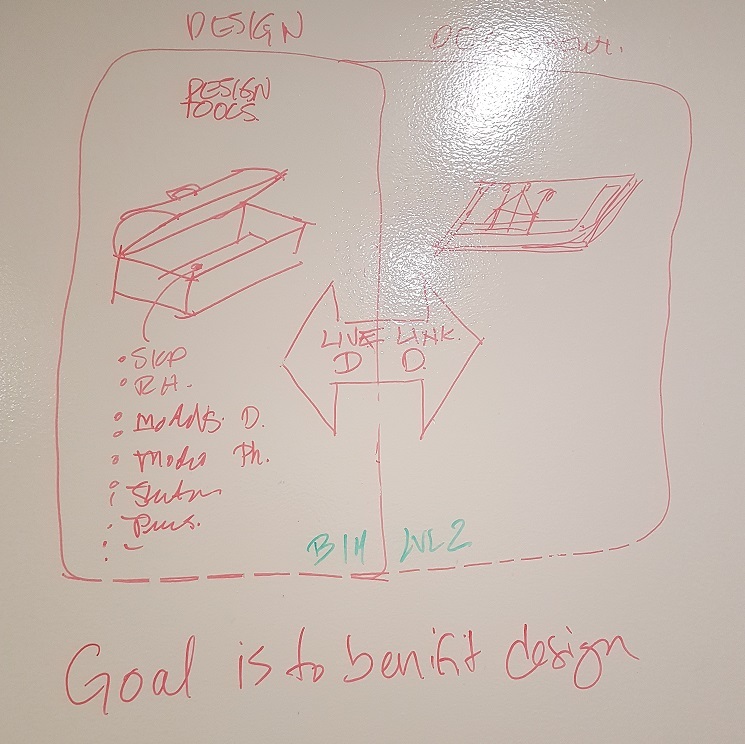 Last week I went to the department head of CAD and BIM technologies and pitched him my idea. I believe that a newly graduated student could work as a BIM Lead. I explained the main focus in most Architecture firms at this time is making the use of Revit profitable and keeping technology out of the designers way. I believe graduates of this program would help move design past the struggles with technology and help architects focus on design. This got him very excited and I started talking to the graduating students to see if they were interested. After meeting with a couple of these kids I realized they have the ability to inject new ideas and bring new views on how we use technology in BIM. It’s time to let the new generation become BIM leads, you could find someone who can bring the next big idea down the BIM road.